Businesses rarely succeed without a strong marketing campaign. The same is true for your career. Your resume is one of the most important tools in your career-promotion toolbox. Trying to promote your career without a resume would be like trying to bang in a nail without a hammer. 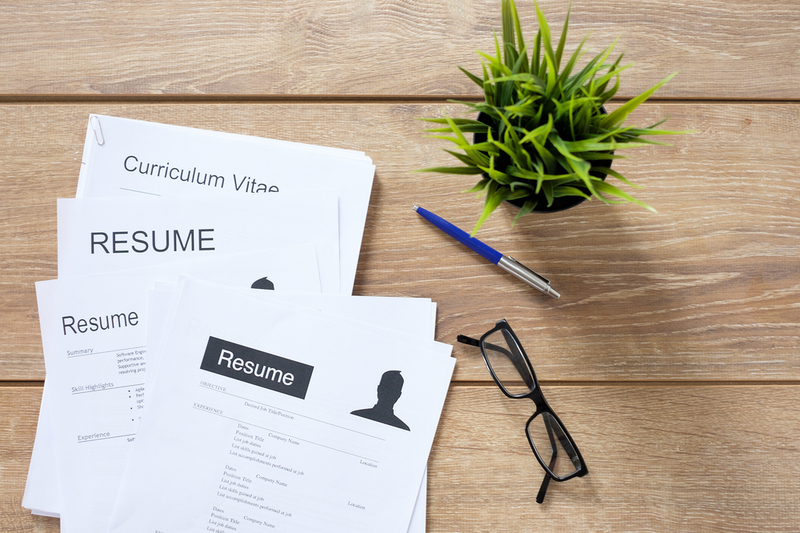 Because you probably already have the basics, here are our 7 top tips to boost your resume. Remember the design mantra, ‘Function before Form’. Only make content and design decisions that will improve the readability of your resume. Concise writing is far easier to read than wordy text. Don’t be tempted to go for quantity over quality. Edit your resume at least twice to keep the word count down. If you’re worried about leaving important information out, consider including links to additional online tools such as your LinkedIn profile or your own website. There are some little design tricks you can use to ensure an employer will assimilate your important information with even a quick skim read. Make sure your most relevant skills are at the top of your resume page. Adjust this as you apply for different jobs. Don’t overcrowd a page, allowing some white space assists with skim reading. Use bold formatting to make key messages stand out but be warned that overuse can render this ineffective. Be aware that your titles may be the only elements read in the skim read, make them count. Never justify or centre text, aligning it to the left makes for an easier skim read. Don’t use all-capitals, this can slow reading down and may lead to sections of text being unread. Write numbers as digits rather than words. These are easier to read and will save space. You’ll be expected to have social media links so include them in your contact information. We would strongly suggest a social media clean up before you start applying for jobs. Whether we like it or not, 55% of employers in Australia and the UK use social media as a tool to investigate applicants. Whilst you should work on gaining relevant work experience, don’t panic if you don’t have any that is suitable for your resume. Focus instead on transferable skills (for example ‘communication’). Have you travelled ? Have you done any voluntary work? Which skills did you gain during your studies? Don’t be afraid to include more modern experiences such as blogging and freelance working. Ensure that everything you include is relevant. You should aim to keep a resume word count down without losing vital information. To this end, focus on soft skills and key word vocabulary. a. Searchable key words will almost all be nouns (things). Examples might include: project-management, analysis, management and marketing. b. Searchable key words will relate to the skills that the employer is seeking. Look at the person specification and job description to find these. c. Industry jargon, names of products, job titles, certifications and company names will all count as searchable key words. d. Key words that are included in paragraphs will rank higher with an ATS than those in list form. Key words in the initial paragraph will rank even higher. e. Synonyms can also be key words so try to include those. For example, as well as including the word ‘management’ you might also use ‘supervision’ and ‘executive’. And finally, there is nothing more likely to damage your chances of success than a resume that has mistakes or doesn’t make sense. It is notoriously difficult to edit your own work so, once you have run the usual grammar and spelling checks, make sure that you ask others to read your resume through. The ideal would be two people, one who knows you well (to check you have included everything) and one who doesn’t know you (to check that it all makes sense). We hope our tips help you to produce a top-notch resume that will inform and impress every employer it lands in front of. If you are struggling for motivation, think of your resume as an opportunity to give yourself a pat on the back. You gained the qualifications, you did the hard work and you deserve that dream job! Now that you have a your resume sorted, learn how you can get that career of your dreams with our step-by-step guide!